Insiders have claimed that Kanye’s name was enclosed on a fashion show invitation by designer Philipp Plein. According to TMZ and its sources, Plein was scammed by an individual who was a G.O.O.D. Music associate and former friend of the rapper. A contract was reportedly created that featured a $900,000 USD advancement for West to perform. Rather than West actually receiving the transfer, the scammer was sent the advance from Plein and has allegedly run away with the money. TMZ also reports that Kanye West’s signature was forged in the process in order to solidify the large transaction. 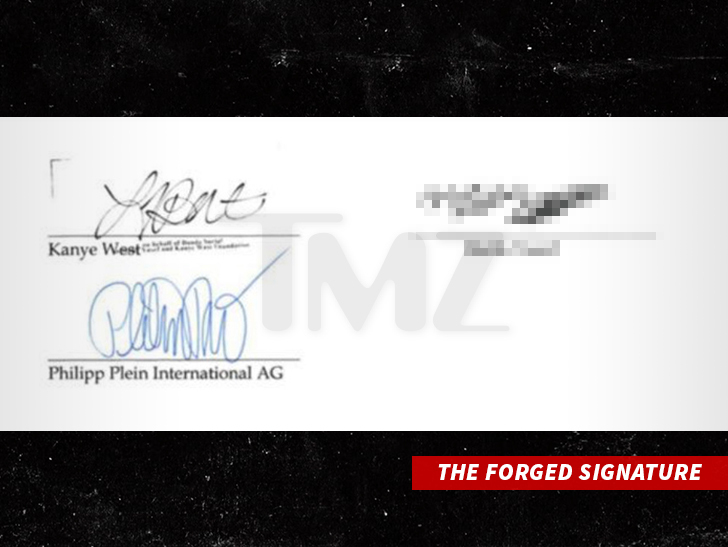 A photograph of the contract with West’s forged signature was acquired by TMZ. Stay tuned here as additional details emerge.